European Union leaders meeting for a Brexit summit are likely to grant Britain a short extension, German Chancellor Angela Merkel said Thursday, if the British government can win parliamentary support next week for its divorce deal. Her deal has already between twice rejected massively by the U.K. Parliament, and EU leaders are being asked to take the risk that May can convince the lawmakers next week. But she warned the EU wants to ensure the legitimacy of the May 23-26 elections to the European Parliament. European Commission President Jean-Claude Juncker has said Britain should be out before May 23 or be obliged to take part in the Europe-wide vote. Lithuanian President Dalia Grybauskaite also believes the EU stands ready to take the risk. 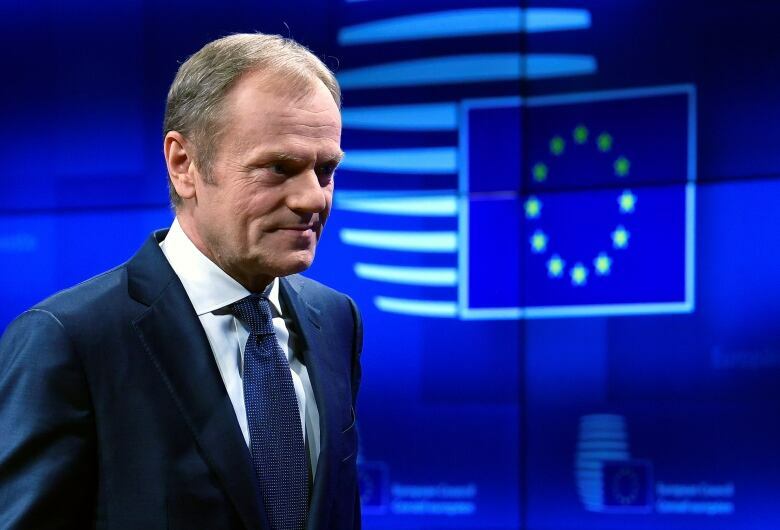 The EU “will certainly be inclined to help [May] to talk to the U.K. Parliament,” she said, and that “we will definitely approve [an extension],” the Baltic News Agency said, citing Lithuanian radio. But what remains unclear is exactly what happens next. Hunt said he did not know if May’s Brexit deal will be brought back to Parliament next week, as he warned of “extreme unpredictability” if the issue is not resolved.